Last week, I shared my story around alcohol — and how I used to rely on it to reduce stress and anxiety. Back then, little did I know that alcohol — while reducing anxiety in the short term — can actually increase anxiety after the initial buzz wears off. And if you drink enough to get a hangover, anxiety is one of the common mini-withdrawal symptoms, along with a headache and upset stomach (for more, see Why You Get ‘Hangxiety’ After a Night of Drinking). Thankfully, I found a healthier path over the years. One that doesn’t require wine, Xanax, or stress-eating my way through a bag of Doritos. So if you’ve ever ransacked the candy drawer after a stressful meeting — or if you find yourself eagerly anticipating that first glass of wine all the way home from basketball carpool, this post is for you. First of all, let me reiterate that this is a judgment-free zone. That open bottle of Pinot Grigio calling your name from the fridge… the cookies you intended for your kid’s lunch… the temptation of the chips just sitting there in your pantry — I get it. I’ve totally been there. These foods and “treats” can be difficult enough to resist on a good day. But on a stressful day — they’re even harder to turn down! But you’ve got this. I promise! 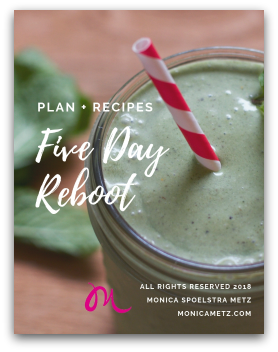 You can start turning down the volume on the siren song of unhealthy “treats” by making some simple yet powerful adjustments to your household and daily routine. And over time, using healthier methods to handle stress will have you feeling more energized and more resilient, so you can meet life’s challenges in a more empowered manner. Before we get started, I also want to say that, for some people, anti-anxiety medication can provide great support. However, I also believe in exploring all of one’s options — either in conjunction with, or instead of — prescription medication. After all, adding regular meditation or a hot bath to work alongside your meds is a lot more helpful (and healthier) than alcohol or refined sugar, right? 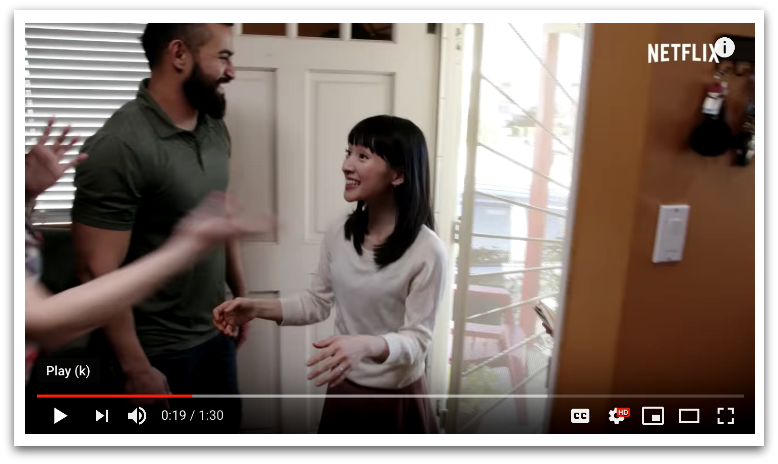 Have you been sucked into the vortex of Tidying Up with Marie Kondo on Netflix yet? Marie’s advice doesn’t need to be limited on how to deal with too many Christmas decorations, shoes or toys. We can take inspiration from her blockbuster show to help us be healthier in our homes as well. Here’s how: when we remove temptation from our homes, our willpower grows exponentially. Clever how that works, right? Bottom line, if the tempting foods and drinks aren’t around to call your name when you get stressed, you don’t have to worry about making the sort of choices you might feel guilty about later. In addition, a “clean” kitchen and pantry will help you resolve your stress through healthier channels — such as the ones I’ll cover below. So give away your candy stash and box up the booze for now. Give yourself a clean slate to start de-stressing in a healthier manner. Cutting back on caffeine was a complete game changer for me. After all, I had been engaged in a drama-filled and co-dependent affair with caffeine for years, dating back to when I’d take No Doz to pull all-night study benders in high school and college (only to have an over-caffeinated meltdown at 3 in the morning… go figure). 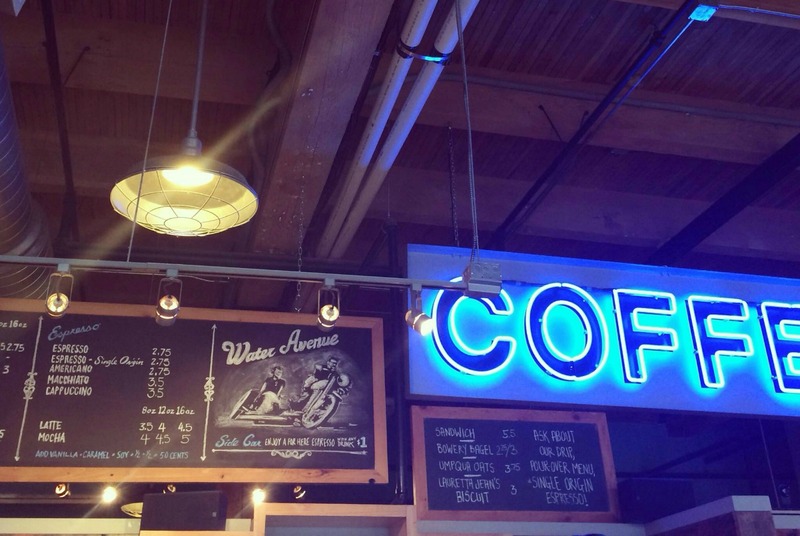 Changing my relationship with caffeine wasn’t easy at first. I love the smell of coffee, its preparation rituals, those first piping hot sips — I basically love everything about it. And caffeine worked really well for me — providing that much needed energy boost — until one day I figured out it wasn’t working for me at all. I had read about the connection between caffeine and anxiety, and wondered if it was making mine worse. So I did a little test, and weaned myself off. Guess what? I felt much better after I was caffeine-free. I felt much more even-keel, and didn’t have my usual energy crashes after lunch. Plus, being caffeine-free really helped lessen my perimenopausal and hormonal symptoms. If you want to know more about this, check out Alisa Vitti’s article, 3 Secret Reasons Why Women Shouldn’t Drink Coffee. Nowadays, I still love my cup of pour-over coffee, but I enjoy the unleaded variety. And it’s still just as satisfying. Are you worried about how you’ll feel energized in the morning without caffeine? Well, try listening to your body. I’m guessing you need the caffeine because, like most Americans, you’re not getting enough sleep. Try getting to bed 15 minutes earlier each week, until you’re going to bed early enough to get 7+ hours of sleep a night. Give your body the rest it needs, and your brain, metabolism, and immune system will thank you for it. Trust me: maintaining a consistent mindfulness practice is the new cocaine/Xanax/Adderall. Except you get all the benefits of increased focus, mental clarity, and confidence — as well as reduced stress — without all the nasty side effects such as biological addiction and a potential stint in rehab. And by that, I mean sitting quietly, closing the eyes for a few minutes, and observing the breath flow in and out of your nostrils, lungs and belly. That’s it! 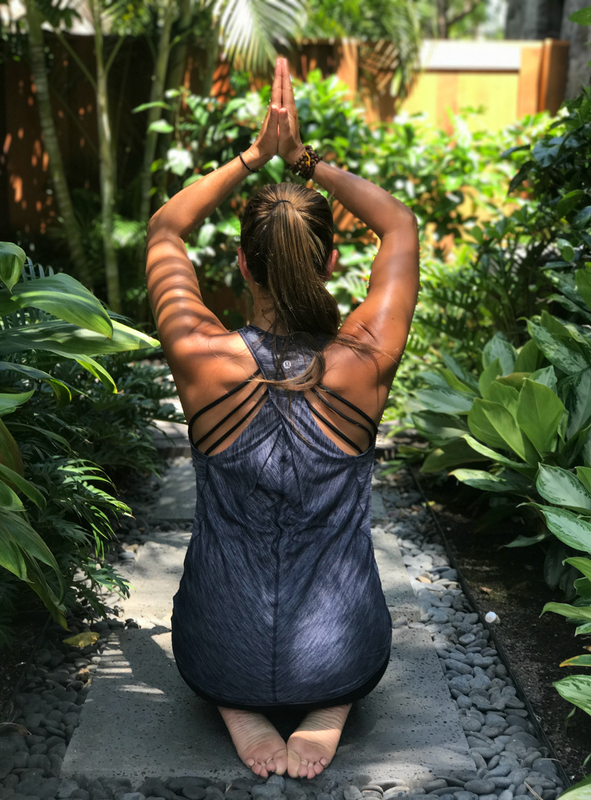 When thoughts start racing through your mind — as they do for meditators both new and experienced — simply bring your attention back to the breath. You can even count your breaths, starting with “1” for the inhale, and “2” for the exhale, and so on. When you reach 10, then simply start over. If you want to start a more formal meditation practice, you could also try out an app such as Headspace. I also really like Insight Timer. Or, could enroll in some training such as Transcendental Meditation, or classes with my amazing Reiki and Astrology mentor, Margaret with the Insight Center. There are so many incredible stress-reducing options out there. Have fun exploring them! Exercise has always been a big stress reducer for me. In fact, the reason I work out regularly isn’t about maintaining my weight — it’s about maintaining my sanity and mood! Back when I worked 60-70 hour weeks in pro sports, I was completely out of balance and often highly stressed. But even then, I knew that a good, sweaty workout would set me right. I’d come into work super early so I could justify a longer lunch, and then I’d exercise my stress away in a class or on a Stairmaster. I always felt a million times better once I came back to my desk and deadlines. Sometimes, however, a sweaty workout isn’t possible due to lack of time or access to a gym. That’s when a simple walk around the block can help, or doing a few flights of stairs. Or trying some simple yoga poses. A quick walk out in the fresh air can work wonders — and it’s completely free and only takes a few minutes. These days, my favorite way to reduce stress is to hit something — like the heavy bag in boxing class. However, I also love a quick walk outside, even when it’s raining (as it often is here in Portland). If you want to squeeze in a few yoga poses to reduce stress, my favorites are Warrior 2, Child’s Pose, Rag Doll Pose, or simply resting your legs up a wall. 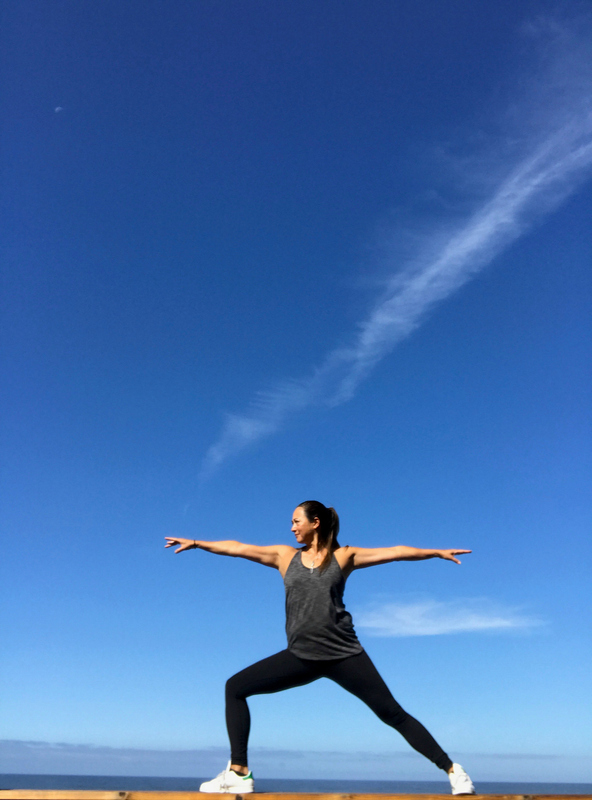 If you’re looking for some extra guidance, check out Youtube sensation, Yoga with Adriene. Or hit up a class in your neighborhood. 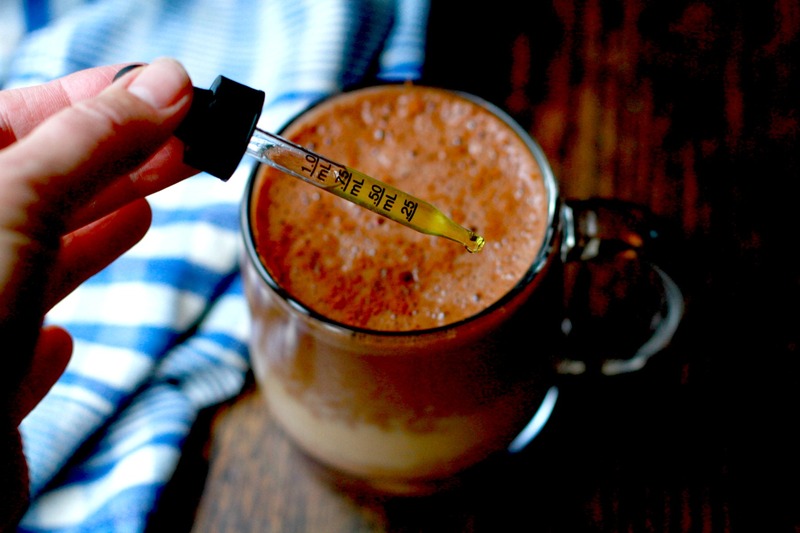 Over the holidays, I talked about reducing stress by trying my delicious CBD Hot Chocolate (note: adults only!). CBD stands for cannabidiol, an anti-inflammatory compound that can be extracted from either a hemp plant or a marijuana plant. CBD is one of only dozens of compounds found in cannabis. It’s getting a lot of attention these days because, unlike THC, it is non-psychoactive and non-intoxicating. THC-free, hemp-derived CBD tinctures can be purchased in dispensaries in “legal” states, as well as online for states where marijuana isn’t legal. Here in Oregon, I like the Luminous Botanicals brand. No problem, you could also try herbs of a different nature, such as the Ayurvedic adaptogenic herb ashwagandha (check with your naturopath or doctor first), chamomile or kava tea (easily found at any grocery store), or reishi mushroom elixir from Four Sigmatic. You can also try making my Medicinal Mushroom Latte. Watch a funny movie or read a funny book — This always works for me. Instead of adding to my stress by watching the news or the Netflix hit, Bird Box, I go with something that will make me laugh: old reruns of The Office, Key and Peele, Stephen Colbert, or anything involving Will Ferrell. Take a hot bath: I’m a big believer in epsom salt baths to relax both your body and your mind. Get the water as hot as you can stand it, and then add 2 cups of epsom salts, 1/2 cup of baking soda, and about 20 drops of your favorite essential oil. Then lie back, relax, and sweat/steam your stress away. Usually, I use lavender essential oil. But when I’m getting real fancy, I’ll use a combo of bergamot, ylang ylang and cinnamon. Diffuse essential oils: Speaking of essential oils, I also diffuse certain oils to improve mood. 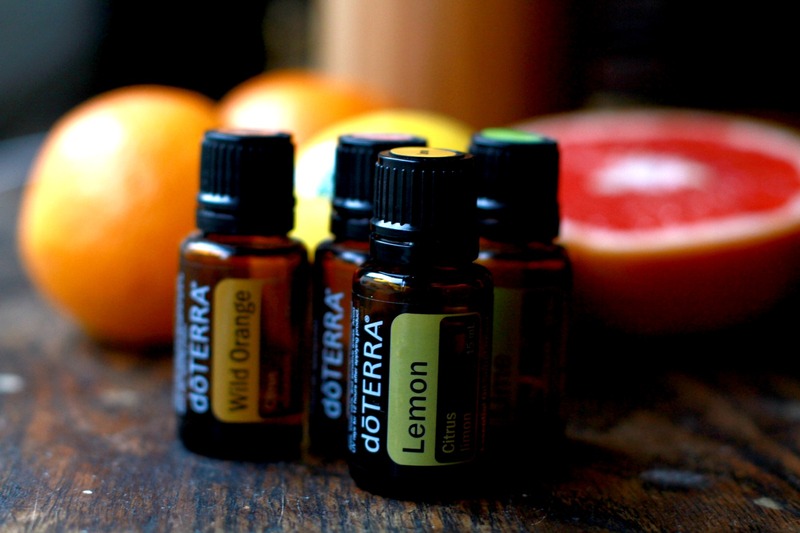 Any of the citrus oils work: lemon, orange, grapefruit, lime, and even bergamot. I also like lemongrass essential oil. The citrus oils provide an uplifting, cheery vibe for when you’re feeling stressed or overwhelmed. Other oils known to help with anxiety are lavender, ylang ylang, frankincense, sandalwood, cedarwood, geranium, rose, clary sage, and cypress. I hope this post helps you reduce stress so you can feel more relaxed, re-energized and resilient in your life. Let’s face it — stressful events and situations are part of life, and they usually involve things we can’t control. What we can control, however, is our response. Taking better care of ourselves —with tools such breathwork, exercise, and healthy food — can go a long way in helping us rise above the fray, avoid being triggered, and bring more peace into our lives.